Cooperative Veterinary Care by Alicea Howell and Monique Feyrecilde. Wiley-Blackwell, 2018. Paperback and companion website with over 100 detailed instruction videos. Personally signed copy! If you have special inscription requests, include them with your order. Sales tax will be calculated after shipping address is entered during checkout. 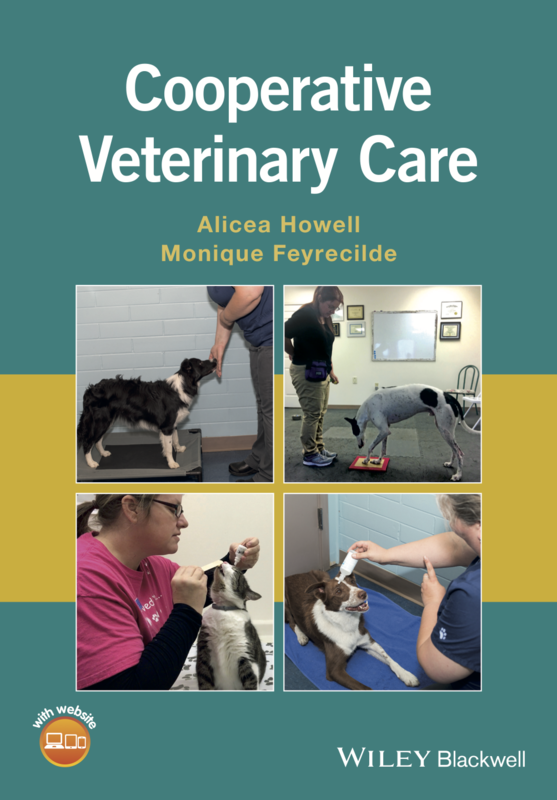 Cooperative Veterinary Care is an exciting new book for veterinary professionals, trainers, and pet owners interested in creating the best possible veterinary care, husbandry, and handling experiences for pets. The book comes with a companion website featuring over 100 video demonstrations. Cooperative Veterinary Care is a useful guide to the most effective techniques and procedures for creating an environment which is safe for people and for pets, while providing high quality medical care with compassion.